【STURDY MATERIAL】Toys collectors box is made of non-woven sturdy fabric materials,oxford cloth with cardboard,also design with double handles for easy carrying ,durable toys storage box that can meet your long term storage needs. 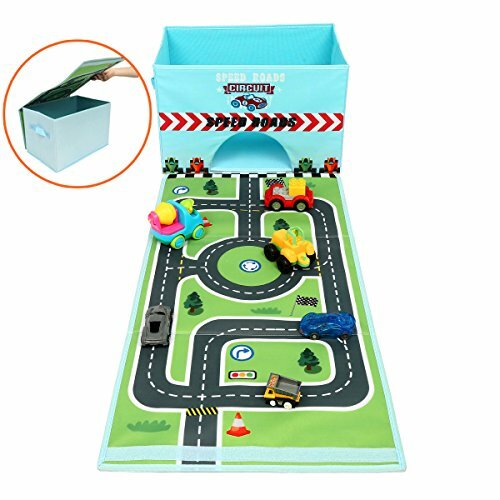 【MAGIC PLAY MAT】This toy storage bins come with roll out play mat, play mat design of a race track for children who are fond of toy cars.this toys chests give you kids possibility to make kids toys has a magic space. If you have any questions about this product by Eggsnow, contact us by completing and submitting the form below. If you are looking for a specif part number, please include it with your message.